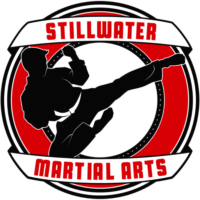 Stillwater Martial Arts has been awarded merit level Certified Healthy Oklahoma Business status for 2017. Because of the programs that we do to help our students as well as our employees, we have been recognized as a Certified Healthy Business in Oklahoma. What Is Certified Healthy Business? Certified Healthy Business was created in 2003 to recognize Oklahoma businesses that promote health and wellness for their employees. Promotion of health and wellness can be done in a variety of ways including passing policies that encourage healthy lifestyles and making facilities available for physical activities. Any business, regardless of size, may apply for Certified Healthy Business status. The program is administered by the Oklahoma Turning Point Council and the Oklahoma State Department of Health, Center for the Advancement of Wellness. Why Does Certified Healthy Matter? Currently, the major causes of death and disability in Oklahoma are due to chronic conditions such as heart disease, cancer, stroke, and Type 2 diabetes, and a significant proportion of these conditions are preventable. Becoming a Certified Healthy Business, indicates you are providing a healthy environment for employees, thereby supporting better choices and an overall healthier Oklahoma. By meeting most or all of the criteria to become Certified Healthy, businesses provide an established environment to foster behavior modification, in addition to policy adoption and implementation. In doing so, risk factors for diseases such as high blood pressure, smoking, and sedentary habits are decreased, which are factors that are more likely to cost employers via absenteeism, disability, lost productivity, and the use of healthcare services (University of Michigan 2000). Additionally, Certified Healthy Business encourages the implementation of policies, programs, and procedures that touch not only employees, but visitors and employees’ families, as well. By providing a business environment rooted in evidence-based health and wellness principles, you are contributing to Oklahoma’s future.